The Kaipara Harbour is the largest in the Southern Hemisphere. It encompasses Dargaville in the north and stretches south to Helensville, while five big rivers wind inland, fragmenting the landscape. This makes exploring the Kaipara region a challenge. It is a vast area – at high tide the harbour covers 947 sq km and has more than 3000km of shoreline. Roads lead down peninsulas to half-forgotten settlements and there are no through routes. 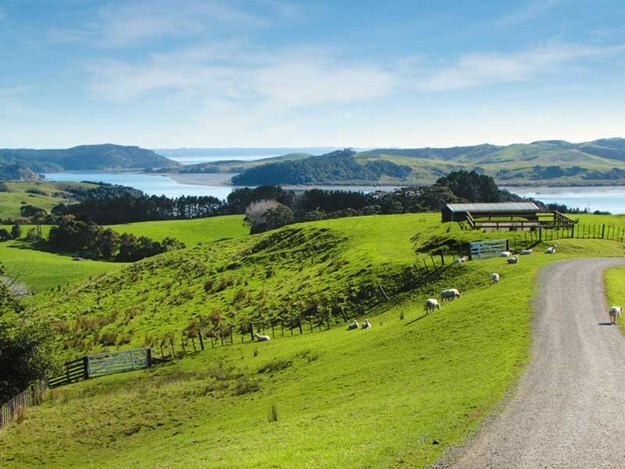 However, this remoteness is what lends the Kaipara its charm – it is a region full of surprises. There is a wonderful motor camp at Pahi. 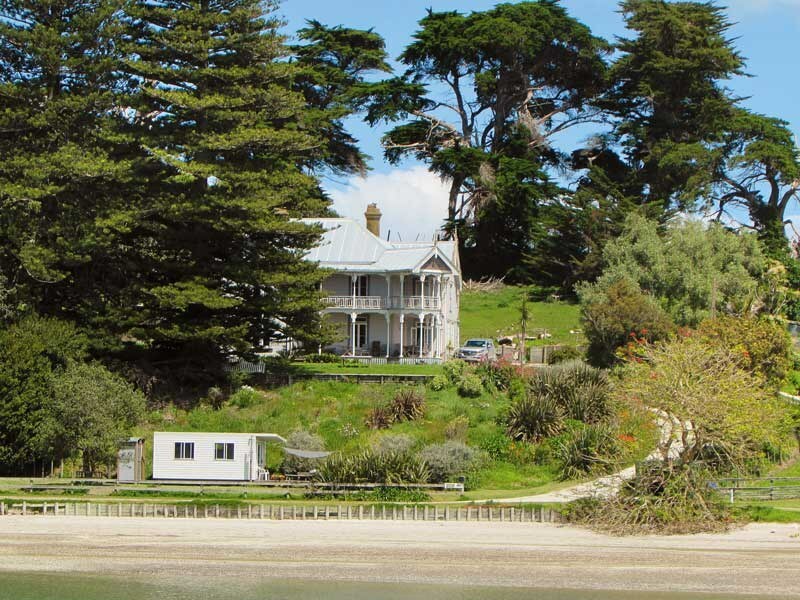 A road led us south from Paparoa, along a narrow spit of land to a scattering of homes and a large grassy area where motorhomes were parked right on the waterfront. Like most of the Kaipara settlements, Pahi was a booming area in the late 1800s when the extensive kauri forests were felled and milled.Roads were few and transport was by water. Nowadays the Pahi waterfront is a picturesque area, dominated by a massive Moreton Bay fig tree, planted around 1850 and one of the largest in the world. 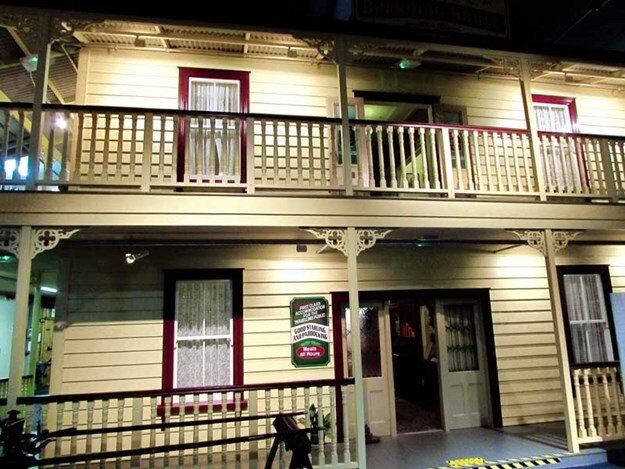 A beautifully restored two-storey villa, built in 1905 as a hotel and boarding house, stands testament to days gone by. At nearby Matakohe we visited the Kauri Museum and learned something of the history of the area, especially the importance of kauri. 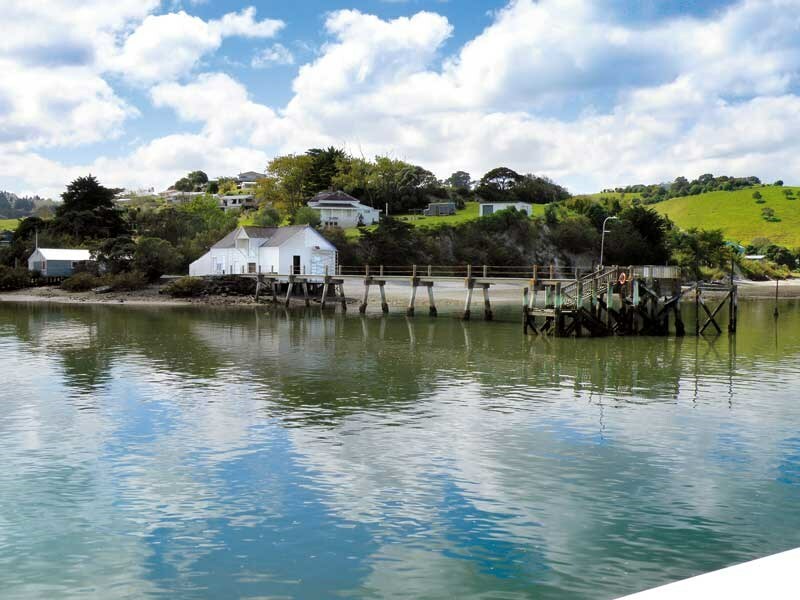 Visiting the harbour today it is hard to imagine the kauri forests that once grew thickly right down to the riverbanks. 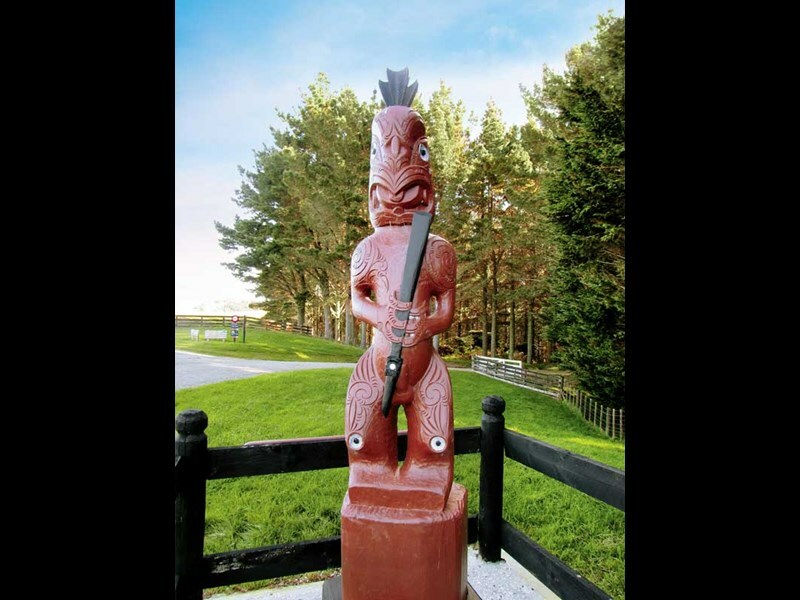 It was kauri that brought many Europeans to the area – as bushmen, saw-millers, gum diggers and traders. When the boom times were over many people moved on, though others stayed on as settlers. At the museum we were amazed to see representations of the massive trees that were felled, some much bigger than the existing giant, Tane Mahuta. A kauri slab 22.5 metres long dominated one room, while we admired beautifully crafted kauri furniture in another wing. There were many kauri gum exhibits, including a Maori chief and a sailing ship crafted from gum, and insects cleverly entombed in amber. 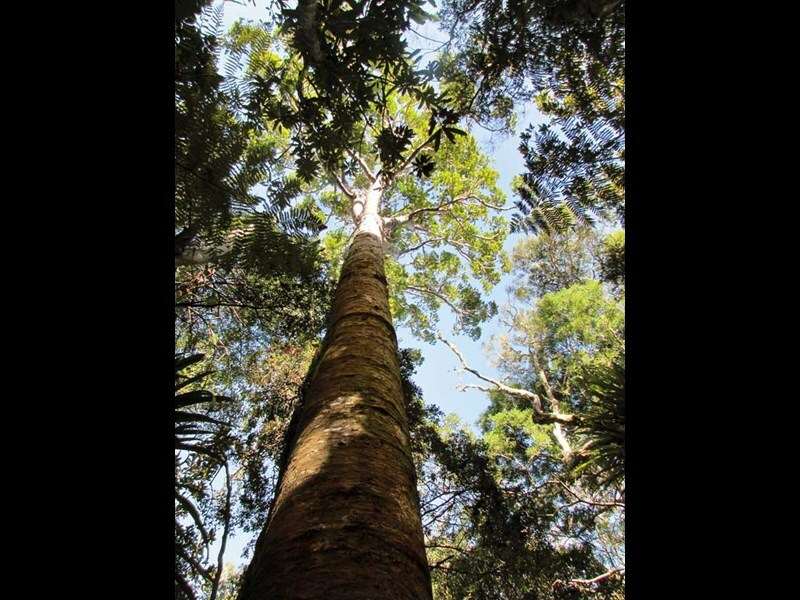 Where once kauri was considered a resource, remaining pockets of kauri forest are now treasured. At Paparoa we explored two short bush walks. 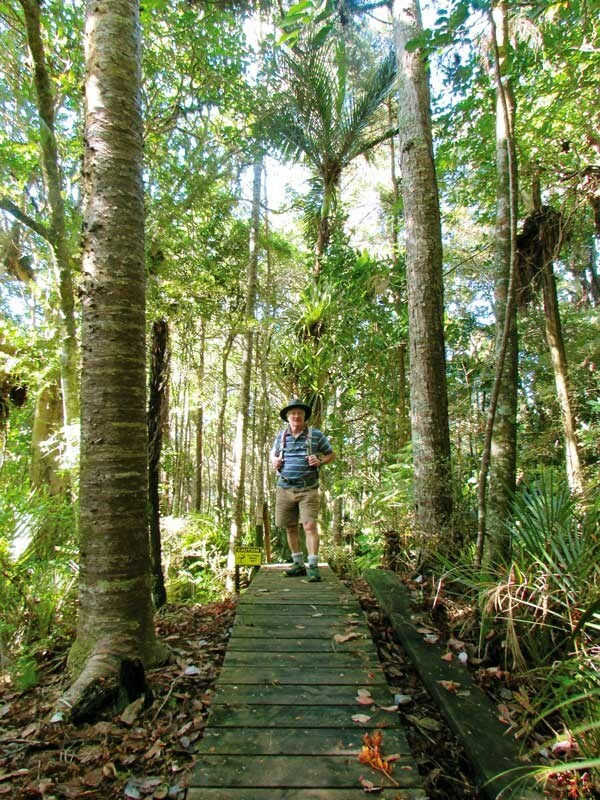 The Kauri Bushman’s Walk has recently installed boardwalks and boot-washing stations in an effort to protect the trees from kauri dieback. The 15-minute loop took us through regenerating forest, with stands of kauri to be seen on the ridges. 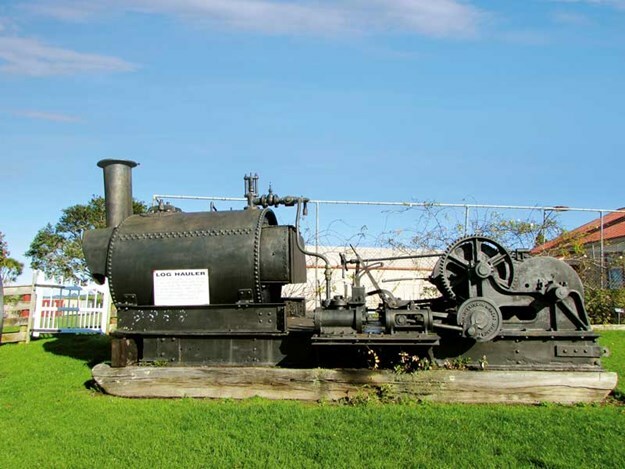 A longer walk, the Lions Walkway, starts at Paparoa Village Green. 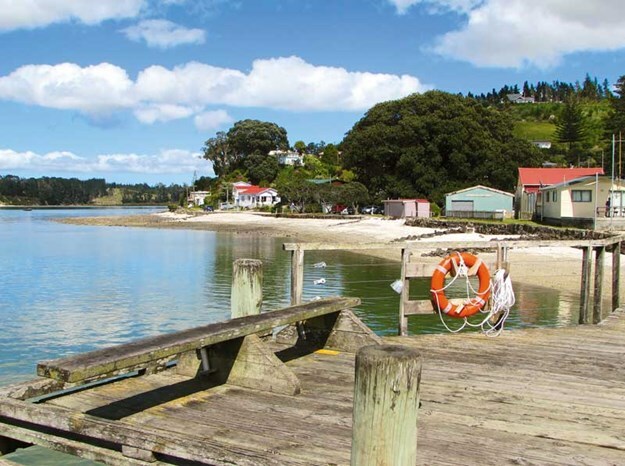 In the 19th century, Paparoa was a major shipping and boat-building hub; now it is a small but lively service town. There was a farmers’ market in full swing when we set off on our walk so we checked out the array of fruit and vegetables, cheese, preserves, hot food and craftwork. 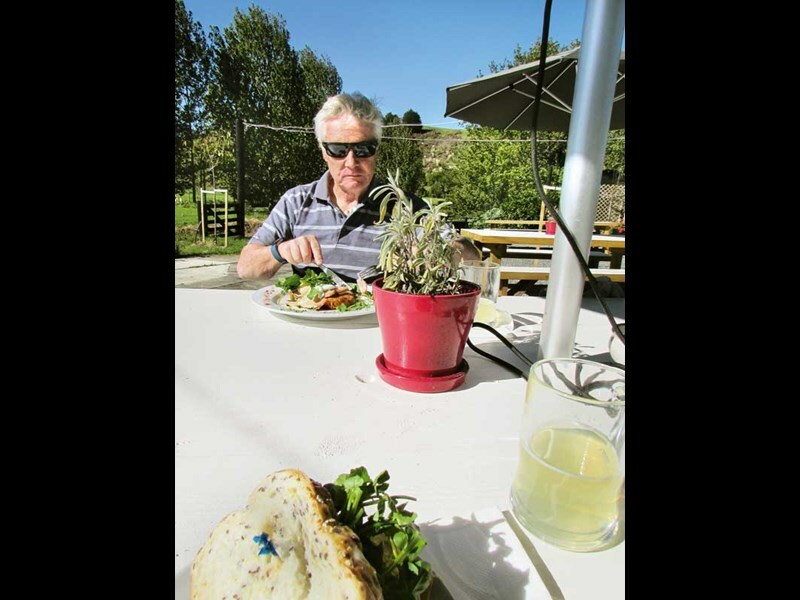 On our return we called in at the Thirsty Tui, Paparoa’s hotel, for a cold drink and a light lunch. The hosts welcome motorhomers and offer free RV parking next to the hotel. Back at Pahi, we made our way to the jetty. Keen to see some of the harbour from the water, we had booked a cruise on the brightly painted MV Kewpie Too. 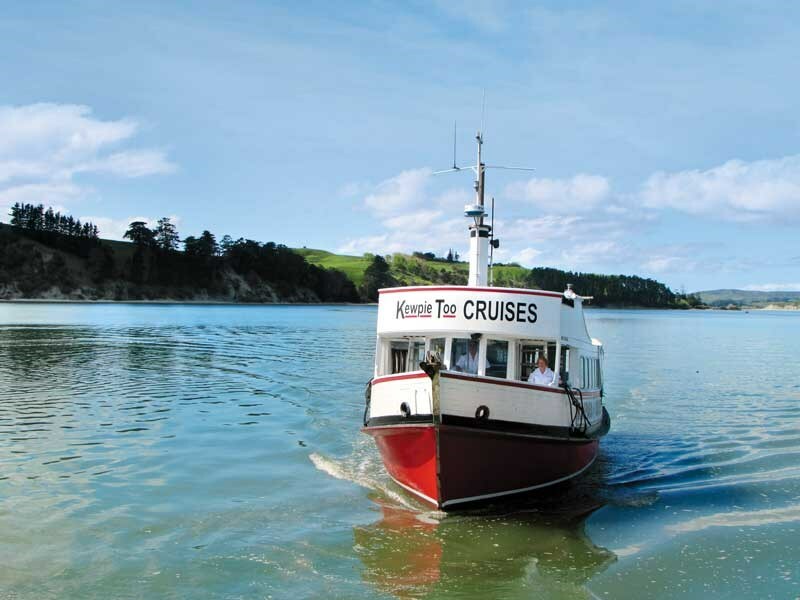 Once used for the cream trip in the Bay of Islands, this little boat now takes passengers into the furthest reaches of the Kaipara Harbour. Our four-hour trip began in the Arapaoa River and passed several side creeks and small rivers before turning into the Otamatea River near the historic homestead at Batley. The captain regaled us with historical facts about the area and we learned that peaceful Batley was once the social centre of the Otamatea area. At nearby Tanoa, a small church nestled into the landscape. 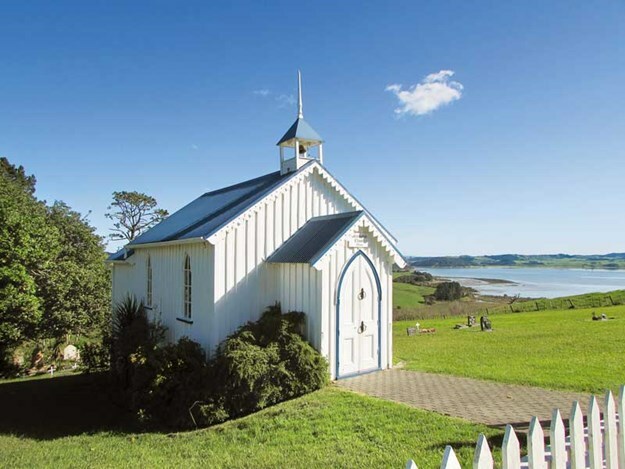 It was built in 1874 by the missionary William Gittos, who established a mission here after overcoming tapu connected with the slaughter of local Maori by Ngapuhi. It was another place that had seen a turbulent history but was now a tranquil scene. Our final leg of Kaipara exploration took us south to Wellsford, where we turned towards Helensville. A side road meandered through picturesque farmland to Port Albert. Because the Kaipara Harbour was so big, early pioneers imagined it would eventually have a city larger than Auckland on its shores. Settlers arrived from England to find nothing but bush-covered plots of land beside the river, where they expected a bustling settlement.Yet again we discovered a virtual ghost town, the scenery as empty as that the Albertlanders found in the 1860s – except now the bush was gone. We strolled around the area that was once going to be a city, its main point of interest now the long wooden jetty that stretched out into the Oruawharo River. A nearby memorial commemorated the settlers. Driving west on the Okahukura Peninsula we came to one of my favourite spots on the Kaipara. Most of the settlers in Port Albert and the surrounding areas were nonconformists. These Wesleyans and Methodists built churches as a priority and the one called Minniesdale Chapel is the oldest surviving in the area. The framework and stained glass windows were brought from England by the Rev Brookes and set up in this beautiful position overlooking the river. We spent some time exploring the pretty, category 1-listed building. The chapel’s white painted exterior gleamed, and ornate fretwork completed the picture. Inside, the woodwork was unpainted and the simple bench seats and pulpit exuded a sense of calm. Windows framed the waterside scene. A little graveyard behind the church was the burial place of many early families. It was a beautiful, serene spot. Before leaving the Kaipara we continued down the road to Atiu Creek Regional Park, where self-contained vehicles can stay for one night. a half. 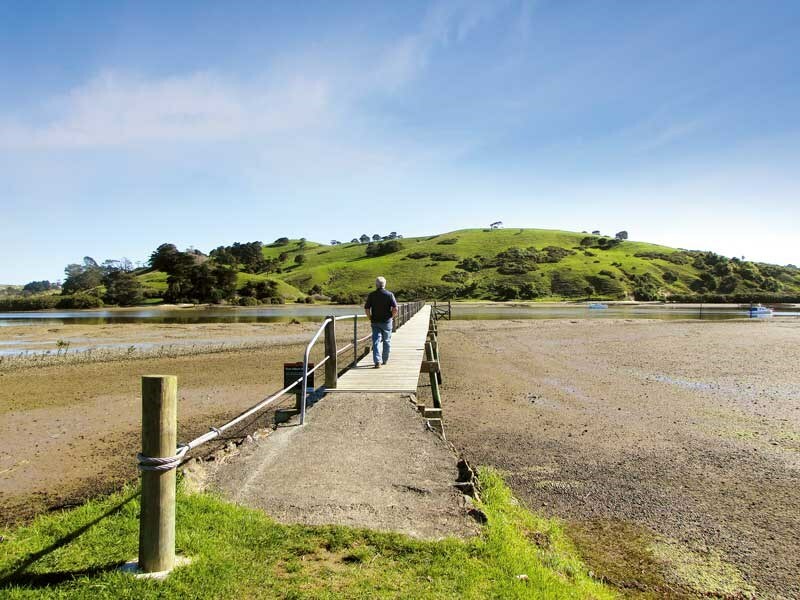 As we walked we enjoyed incredible views of the scenery that makes the Kaipara Harbour such a special place to visit.